If you know Katelyn James - you'll know that she has enormous talent, but more importantly, she has an enormous heart for photographers and her clients! Photographers from across the United States come to Richmond, Virginia to take advantage of her information filled, intimate workshops and coaching sessions. 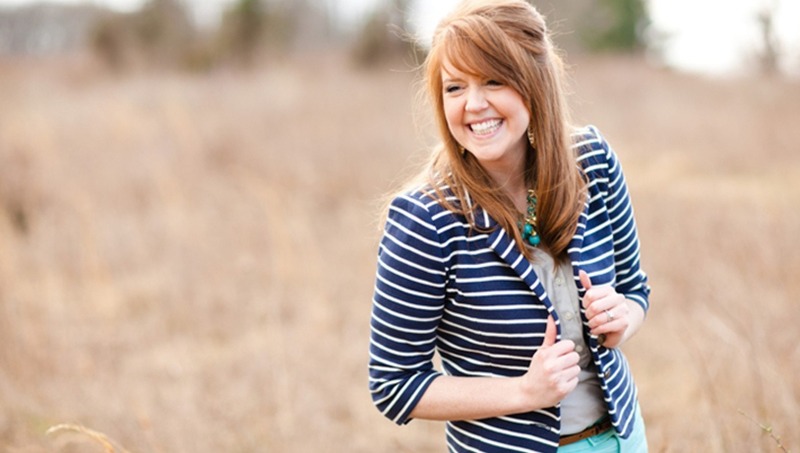 She is an expert in branding and building a community with her brides. Katelyn will be sharing about creating community with clients at WPPI on Tuesday, March 4th at 6:30PM. Be sure to select a pre-board for that one! There are several reasons why I absolutely LOVE Instagram and I think that EVERY small business should have an account! 1. Even if you’re not going to commit to use the account, you still need to make it and SAVE your name!! It wouldn’t surprise me at all if it was already taken. If you don’t have an account, stop everything you’re doing and make one right now!! 2. Young people LOVE it! What does that mean? That means that our future brides 5-8 years down the road will not be on Facebook anymore (it’s considered “Mom” territory now)… they will be finding us on Instagram and Twitter! 4. 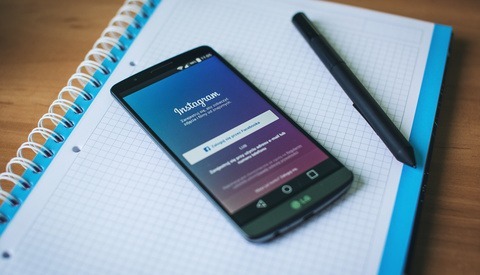 Instagram gives small business owners a chance to share about more than just their business, they can share their LIFE! 5. Instagram is SIMPLE. Facebook has become so complicated and overwhelming sometimes. Instagram is refreshingly easy to navigate! 1. Make sure your BLOG LINK is under your profile! 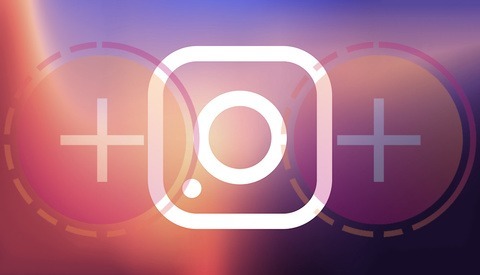 If you’re using instagram to announce a blog post, this is the easiest way to push mobile traffic there! If you don’t have your blog URL under your profile, you’re making it REALLY hard for people to view what you’re announcing. 2. Find a good balance between personal posts and business posts!! If I posted 15 instagrams of Bokeh in a row, I would lose followers. If you look at my Instagram account, I try really hard to balance this! Lets be honest, it’s hard to not post 15 in a row… look at this cutie! 3. USE HASHTAGS! And create your own! For us, our most common hashtags are #kjbride #katelynjamesbride #kjweddings and #Bokehthebichpoo . I know using Hashtaags has a bit of a learning curve but it is WORTH it! By using hashtags for our wedding images, we have created a hashtag that our brides are using now!! I love seeing a KJ Bride use the #KJbride hashtag when she posts about her own wedding! 4. Follow your clients! I love following my brides on Instagram! I feel like I’m caught up on their life when I arrive the day of the wedding. If you run your business personally, this isn’t weird at all. If you want them to follow your posts, it’s only fair that you follow theirs as well! 5. Keep your “selfies” under control. I’m really not big on sharing pictures of JUST my face. haha Maybe it’s a confidence issue or maybe I just follow a lot of our high school kids from youth group and I see selfies non-stop! ha! HOWEVER, I did just post one last night because I had my hair and makeup done for a video shoot that we were working on. I think a selfie every now and then is OK and it’s helpful for your followers to see YOU…. but not every other day. This is just my personal opinion!! 7. Host giveaways through Instagram and have followers repost an image with your name tagged! This is a great way to gain some followers every now and then! 8. Share some of your REAL images. We don’t JUST post iPhone shots on Instagram, we post our work as well! We just save images from a blog post or from our facebook page and we post them on our Instagram account with one of our hashtags! 10. Last but not least, be POSITIVE. No one wants to follow a Negative Nancy. It’s just common sense. If you’re running a business, you can’t have rants on social media about the grocery store worker that ticked you off…. it’s just not professional. Keep everything you post engaging and uplifting! Thank you so much, I am going to put these tips into practice asap. I want to recommend simple instagram scheduler https://push.photo/ use 4 months and all is well. This is great! thanks for sharing these! Solid tips, would be interested to see the entire course she has to offer and more about how specifically she acts on each one of these subjects. Now I am a strong believer that Instagram is the place to go for marketing your photography work. It works nothing like Facebook and everyone sees your posts. 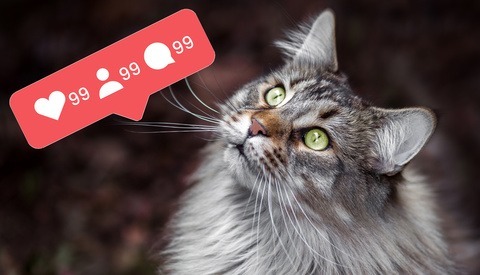 Heck I even look at the times I post and what content I post to make sure that my audience is seen. If I do a shoot in AZ I will then post those shots (tag them via Arizona related tags) at a time that fits that area which is 3 hours behind us in Indy. 8-9AM is usually the best time to post and get a great response as it builds throughout the day. Then again recently I have posted more work at the midnight hour to spread my work over seas and use related tags to Hong Kong and places like that. So many things to look at with this and these are great first steps. Great find Matt! Some times when I get home from the bars and I'm too drunk to sleep I'll search hashtags related to the last three photos I've posted and like EVERY single picture posted that day. When I wake up in the morning I have a bunch of new followers from strange parts of the World. I agree with you if you don't use hashtags like #girl #cute #swag and etc. you will get 10 likes lol. I don't hashtag, and I get a fair amount of views, and my profile is set to private. "Your images are GUARANTEED to be viewed by all of your followers (unlike Facebook!)" Not true. Unless you followers only have like 5 people they follow (I think the average number of followers for people who add me, is in the high 3 figures, to low 4 figures), their photos will get pushed down rapidly. I follow a couple hundred people, and I'm positive I don't see photos from every person I follow. No. I do not see every photo posted by my friends. Some don't even show up in my feed. Well something must be wrong with your Instagram App because she is right, every photo posted by a person you follow is posted on your feed, whether you see a matter of timing. Great article with very sound advice. You mentioned posting real images, not just ones taken with your phone. This is an important tip because I've found those on my page often get the most likes. I take it a bit further and also post custom edited video clips as sort of teaser trailers for things I am working on or have been release. The videos tend to create buzz and foster engagement between me and my followers because not a ton of people utilized the video capability that well. That's the key to succes - to engage lots of people into your account's life. The most reliable way to do so is to contact as many users with similar interest as possible. Those interests can be places you visit, filters you use, objects you picture. And, of course, you have to follow them, hoping they will follow you back. But even if you've done everything right, commented and liked their photos, more than a half of them won't. That's absolutely normal, that's how it works, nothing to be worried about. But now you need to get rid of those who is not interested in you, and there's one easy way to acomplish the task - to use an automated unsubscription service. I've been using this method for years since the early twitter era, but in instagram there was nothing for mass unfollowing. But the game has changed since this awesomeness appeared - fast-unfollow.com. It is capable of unfollowing up to 5000 users per day, and you're granted 1000 free unsubscriptions once you have registered. As for me i can't imagine a personal blog going viral without a huge effort to attract new follower without following them, which leads to en increasing number of followings, and it's not that great due to an unwanted ratio (it's better to be kept at 1:1), and once again it's a task you can deal with with the service i mentioned. So beautiful pics! And useful tips! I used to buy followers and likes at http://rocket-followers.co.uk/, but now I wouldn't! Running my business, I have understood one important thing: you need many followers that must be real. So, that is the reason why I am using services of zen-promo.com .It finds followers for me among real Instagram users right IN MY CITY. The city is very important, I make deals only in mine.